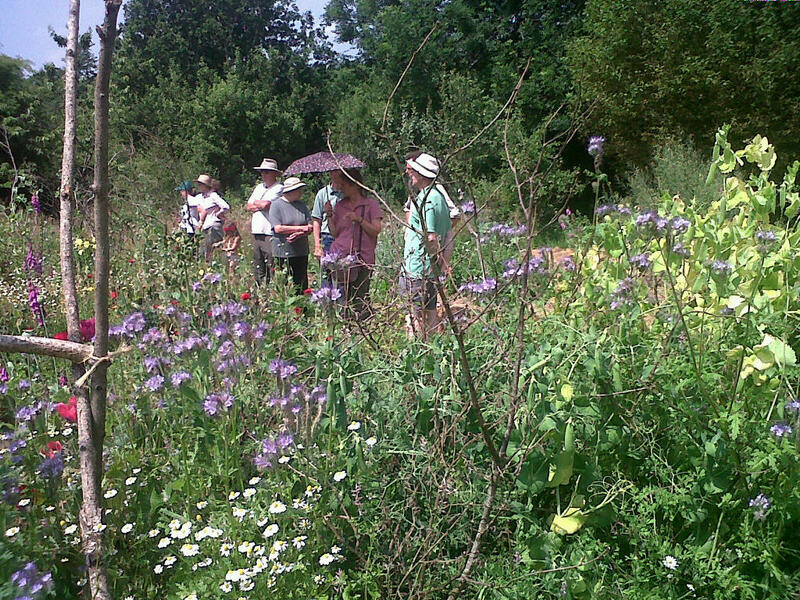 The Dyfed Smallholders in the annual vegatable garden. We had a very enjoyable visit from the Dyfed Smallholders Association yesterday, with a productive exchange of knowledge. Identifying the flowers in the uncut part of the hay meadow. Drying hay can be seen to the right. 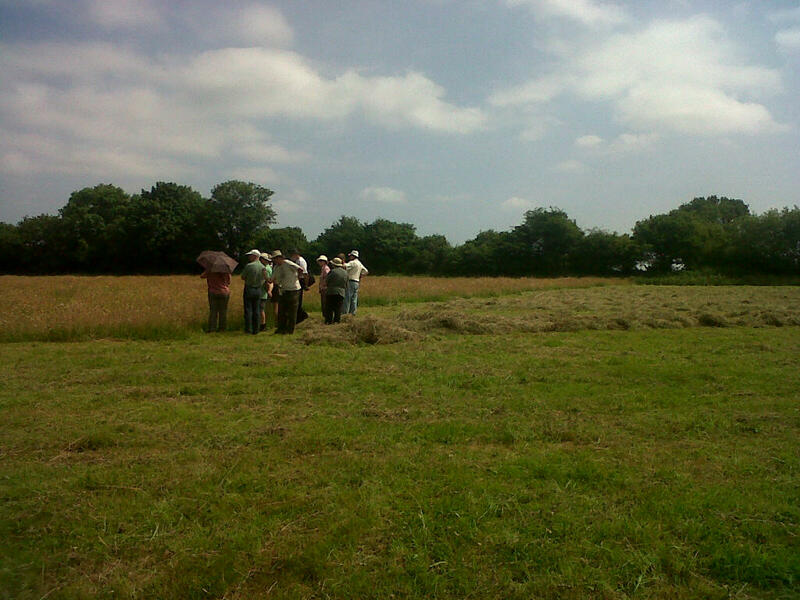 This entry was posted in Events and tagged dyfed smallholders, Permaculture, visit. Bookmark the permalink.